The Highlands is to have the first spaceport in the UK – sparking a jobs boom potentially worth £3.8 billion to the economy. Millions of pounds of investment will pour into Sutherland after a remote peninsula on the north coast was today revealed as the location of the country’s first spaceport. 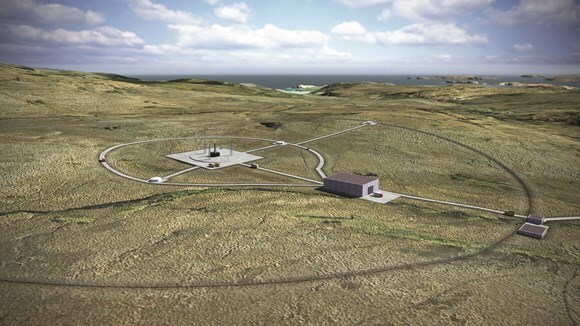 A’Mhoine, between Tongue and Durness, beat out other proposed sites to stage vertical and satellite launches that could pave the way for space flights for the UK Space Agency. The agency said A’Mhoine – sometimes called the Moine – is the best place in the UK to reach highly sought-after satellite orbits with vertically launched rockets. The news was announced by Agency chief executive Graham Turnock and Business Secretary Greg Clark. Could a spaceport be built in the Highlands? Mr Turnock said the spaceport would “help kick-start an exciting new era for the UK space industry” – an industry he claims is potentially worth £3.8 billion to the UK economy over the next decade. Mr Clark said: “As a nation of innovators and entrepreneurs, we want Britain to be the first place in mainland Europe to launch satellites as part of our industrial strategy. Highlands and Islands Enterprise (HIE) will get £2.5 million from the UK Government to develop the spaceport, which could be up and running by the early 2020s. Chief executive Charlotte Wright said: “The decision to support the UK’s first spaceport in Sutherland is tremendous news for our region and for Scotland as a whole. While considering the suitability of the site, the population and remote areas that make up Sutherland would likely have been a positive. The decommissioning of the Dounreay nuclear power plant also means there is a good pool of technical workers nearby for construction. Caithness, Sutherland and Ross MSP Gail Ross warmly welcomed the news said: “Whilst the wait was certainly frustrating at times, I’m delighted that this decision has been made. The potential positive impact on infrastructure and employment for the area cannot be understated. “Sutherland needs more sustainable, long term and quality jobs, not only for the future socio-economic development of Sutherland but also to counter any negative impact that the decommissioning of Dounreay will have on the employment and economy of the area.